Episodes 397-421. May contain spoilers. “When the candles are out, all women are fair.” – Plutarch. First, an update to the story so far – and we certainly need one, given that the last One Piece collection in the UK came out over a year ago. The Straw Hat Pirates are in the Sabaody Archipelago. A recently-made friend of theirs, Camie the mermaid, has been kidnapped and is now being sold in a slave auction, where it is likely she will be purchased by one of the Celestial Dragons, the descendants of the founders of the World Government. In order to rescue Camie, Monkey D. Luffy attacks the Celestial Dragon who is attempting to buy Camie. This results in an alert going out, calling an admiral to punish the crew. 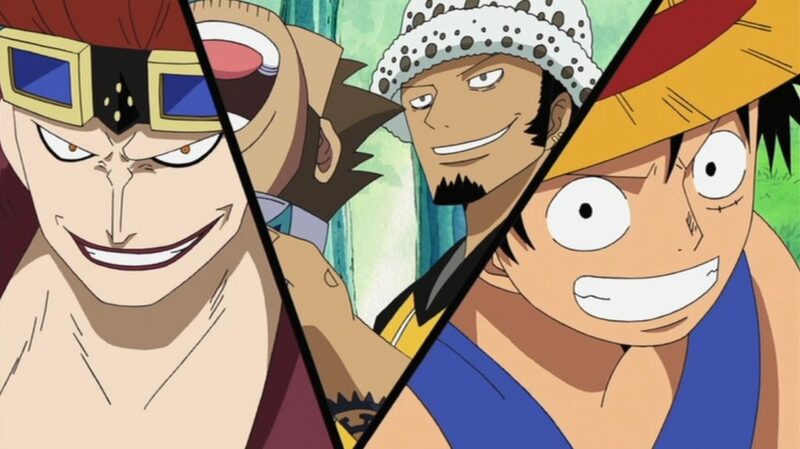 The collection continues with the fallout from Luffy’s attack, with two other pirate captains joining the fight: the “Surgeon of Death” Trafalgar Law and Eustace “Captain” Kid, who has magnetic devil fruit powers. At first the trio easily defeat the marines, but then Kid comes into contact with someone who looks a lot like one of the Seven Warlords of the Sea: Bartholomew Kuma. We eventually learn that it is not really him, but one of the “Pacifista” robotic weapons that look like him. While Kid, Law, and other pirates battle not just this, but other Pacifistas in the area, the navy admiral finally arrives: Kizaru, whose devil fruit powers give his body the properties of light, travelling incredibly quickly. The Straw Hats become increasingly caught in all of these battles, with Luffy knowing they cannot win and ordering everyone to split up and return to the ship in three days’ time. Then someone even worse turns up: the real Bartholomew Kuma, who uses his special paw hands to make each member of Luffy’s crew vanish, one by one, totally defeating the crew. After this comes a bit of filler, two of the “Feudal” episodes which have a period setting featuring the main characters, but content is okay. Then we go back to the main story. We learn that Kuma’s attack results in each member of the Straw Hats travelling for three days to a distant location. In Luffy’s case, he lands on Amazon Lily, an island inhabited solely by women and where no man is allowed to enter. Luffy falls ill after eating some poisonous mushrooms that prevent the locals discovering his gender until it is too late, having already brought him into the main town of the island. A series of confusions and errors lead Luffy having to think of a way to get off the island so he can meet up with the rest of the crew. There is one way off the island – using the ship that belongs to the island’s ruler. However, the ruler in question just happens to be another of the Warlords: the Pirate Empress and Snake Princess, Boa Hancock, the consumer of the “Love-Love Fruit” that means that anyone who falls in love with her undeniable beauty can be suddenly turned into stone. 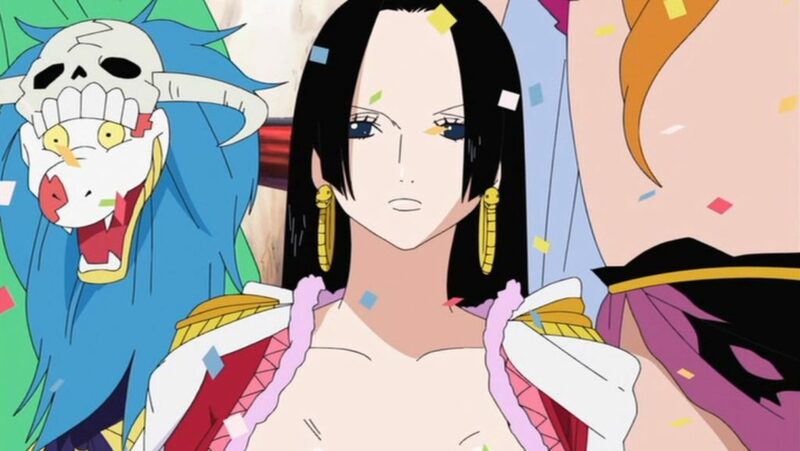 Not only does Luffy get into trouble with her, but then he learns that someone he is deeply close to is dying, and that his plan to reunite with his crew will have to be put on hold. This collection is something of a mixed bag. There are some really great moments, such as the Straw Hats’ defeat at the hands (or rather paws) of Kuma. It is a rather moving moment when Luffy sees each of his friends suddenly vanishing, and being powerless to do anything about it. 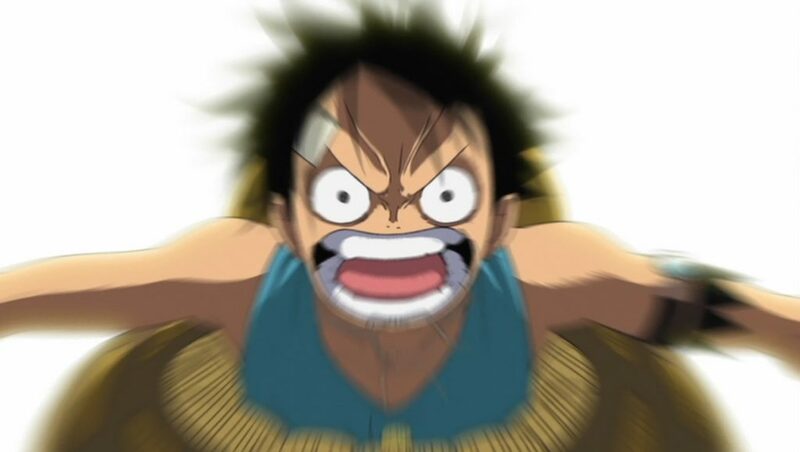 There is also the way that Luffy’s relationship with Hancock develops, originally being hostile, then tragic, and then comic, mainly due to Hancock’s behaviour around him. However, there are issues. One is that if you enjoy the other main characters in the show, you see a lot less of them, as the story is now mainly focused on Luffy, and it will be for the next collection of episodes as well. You do see what happens to the rest of the crew though, as the last four episodes of the collection deal with where the other eight members have ended up. This, though, results in the most problematic issue in the entire collection, and arguably across the series. The issue occurs when we learn where Sanji landed. We discover that the womanising cook landed on a pink girlish island where at first he thinks there will be lots of beautiful women. Instead, he discovers to his horror that the only people on the island are all ugly-looking transvestites with five o’clock shadows, trying to seduce him, and thus the island is a living hell. This is an old gay stereotype in Japan and thus the entire sequence is arguably both homophobic and transphobic. It certainly made me feel uncomfortable watching it – and I knew it was going to come up, having already seen it in the manga, so I had been dreading it. It’s not the worst example of homophobic gags out there, but it did feel bad and lazy. There are extras in this collection, including episode commentaries, trailers, an interview with Sonny Strait (the English dub voice of Usopp), a look at a day in the life of Zoro, and textless opening of the song “Share the World”, but this has been the opening for the series for some time now and is nothing new. Summing up, this is a collection that has one or two of the best moments in One Piece so far, but also the worst moments too.